Delighted to share the shoot I did for the new line of MADE IN USA FEARLESS tattoo necklaces in large and small, to support the Multiple Sclerosis Foundation with super-duper model Shannon Rusbuldt. The necklaces were designed by the delightful and effervescent Jessica Mindich of Jewelry for a Cause. Jessica’s company specializes in specialty pieces for amazing causes. You can read more about Jessica here. This gorgeous new ad was designed by Kormas Studio. 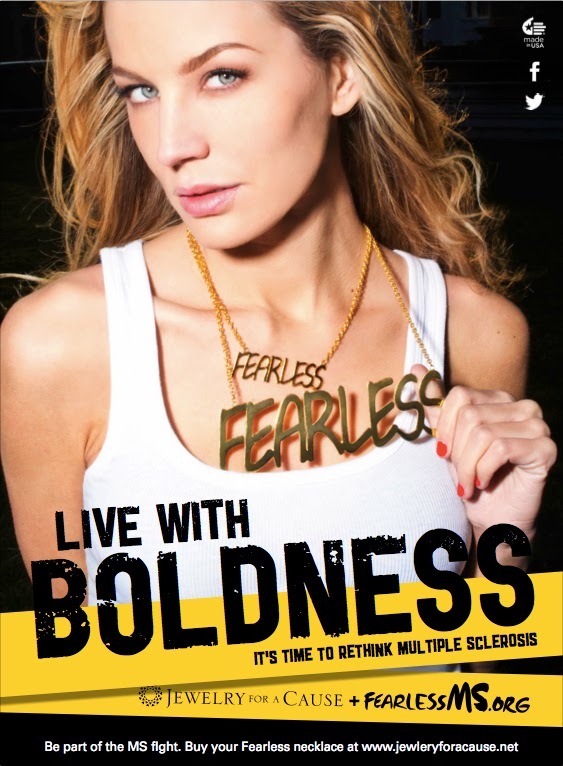 Have you bought your Tshirt or necklace yet to support #MS fighters? Shop here for a necklace.